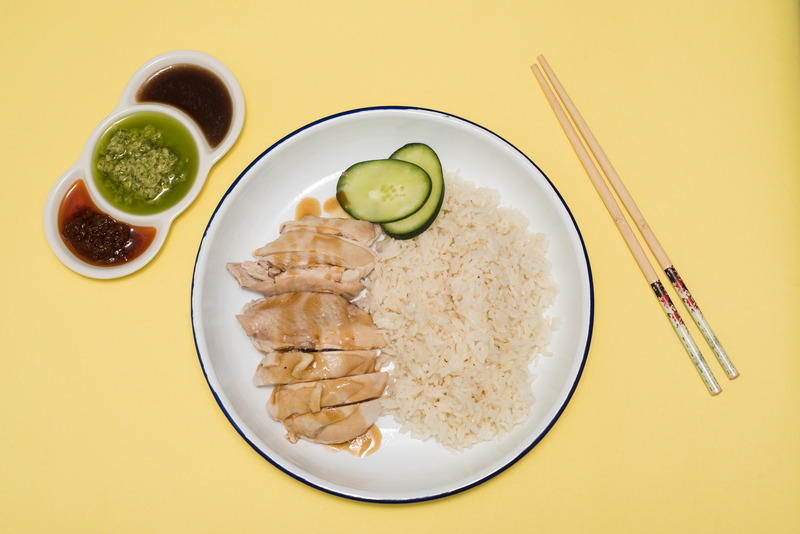 If you’re homesick for Singapore’s famous two-dollah (yup, we went there) chicken rice, we found the next best thing: Hainan Chicken Rice. Angelo Comsti, author of the Fuss-Free Filipino Food cookbook series and F&B Report editor, partnered with chef Jorge Mendez to create a new venture specializing in the Singaporean staple. Tender slices of poached boneless chicken rest on a bed of warm rice, accompanied by three different sauces: soy glaze, ginger garlic sauce, and chili. I tried it without the sauce first and it’s just as savory (I actually prefer eating it without) but feel free to mix it up to add a little more kick. Hainan Chicken Rice offers the dish in two sets: Party of 4 (P700) and Party of 8 (P1300). But you might want to take extra orders because it’s hard to stop eating once you get a bite. For orders, you can contact 0918-9595772. Make sure to order a day in advance because they cook the meals fresh daily.